You could call her the Belgian answer to Binkbeats. With the help of a loop station she builds up soulful songs, layer per layer, mingling electronics with traditional instruments. From the pandeiro to the kalimba, she adds different colours to create an eclectic universe with echoes from the country of her roots: Ghana. After two years of experimenting on stage, guesting with Baloji and opening for Melanie De Biasio, she recently brought out her very own debut EP. Meet Esinam! The album opens with a few floating notes on the flute, Esinam’s main instrument. Yet, the lead track soon unfolds, slowly but surely. Other instruments come in and Esinam even starts singing: “Birds fly under this heavy sky.” She is taking off! ‘Do Not Go Into That Black Night’ continues on the same soulful track, but with a deeper beat and retrofuturistic keys. You’ll probably be nodding your head when the flute comes in and announces a multi-layered epic finale. Quite an irresistible composition and the perfect build-up to the third track. ’Gavoé’ combines Ghanaian field recordings of chants with lots of layers of percussion. 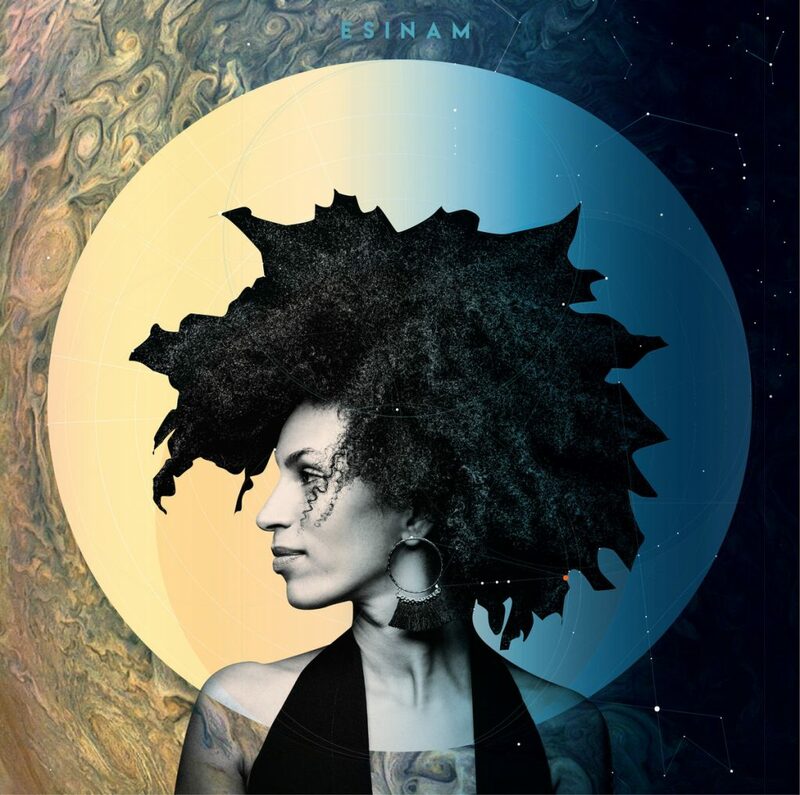 We are halfway the EP and Esinam takes it up a notch with this up-beat tapestry of sound. Kudos to her mastering engineer as well: none other than Grammy nominated Almachrome (Flying Lotus, Madlib,…). The closing track is ‘Electric Lady’, the catchy single she released in January and which caught the attention of jazztronica fans across the globe. Or should we call this world beat? Global electronica? It is clear: labels are of no use here. Be like Esinam – go with the flow and enjoy! To hear or order ESINAM, go here.